Trump supporter Roger Stone is planning a #DaysofRage protest in Cleveland to prevent the GOP from “stealing” the GOP nomination from Donald Trump. Helping fan the flames for these protests is Alex Jones, the conspiracy theory ‘specialist’. It doesn’t take much to delegitimize Stone’s op-ed. Stone insists that Trump deploys the moral high ground because he’s the one supporting the rule of law and all things virtuous. Then he insinuates that the ‘DC Cabal’ will wave a magic wand and steal Wisconsin’s 42 delegates from Trump. Stone’s problem is that shouldn’t presume that Trump is entitled to Wisconsin’s delegates. The people who actually vote in Tuesday’s primary actually determine who gets those delegates. While Bush, Rubio and Romney have made their intentions clear that they want to prevent Trump from becoming the nominee, that doesn’t mean that they’re stealing anything. The only thing preventing Trump from reaching a majority of delegates are the voters. There’s no disputing that Bush, Rubio, Romney, et al, can make their case for why Trump shouldn’t be the nominee. It’s equally indisputable that Trump and his surrogates can make his case for why Mr. Trump should be the nominee. The rules for winning the nomination were published months before Trump announced he was running for president. They clearly laid out how candidates could win delegates and who would pick the delegates to the national convention. Implicit in the RNC’s rules is the fact that nobody is the nominee until that candidate wins a majority of the delegates at the national convention. That requires the nominee to win 1,237 delegates. The power-brokers’ short term game is clear; stall Trump just short of the magic number of delegates needed to be nominated on the first ballot with the knowledge that many delegates bound on the first ballot by Trump primary and caucus victories would be unbound on a second ballot. Much in the way the RNC stacked the galleries with anti-Trump partisans in the last two debates, anti-Trump quislings are being planted in various delegations that will be free to betray Trump on subsequent ballots. I didn’t know that legitimate registered voters that pick someone other than Trump qualified as people who’ve betrayed their country or that they represent “an invading enemy.” Saying that Stone lays the entitlement mentality thick in this op-ed is understatement. Stone’s presumptuousness is breathtaking. Simply put, Trump can’t have stolen from him what isn’t his in the first place. Readers of LFR know that I’ve criticized the Agenda Media for almost 10 years. I especially criticized them when they didn’t do their due diligence on then-Candidate Obama. What’s happening now with GOP-leaning commentators is just as disgusting as what lefty pundits and reporters did in 2008. One of the biggest offenders this year is Andrea Tantaros, a co-host on Outnumbered. Tantaros said this about Trump’s ban-all-Muslims diatribe. Calling Trump’s childish diatribe a solution is insulting. The primary definition of solution is “the act of solving a problem, question, etc.” Ms. Tantaros, how does Trump’s diatribe solve the problem of stopping Middle Eastern terrorists entering the United States when it isn’t enforceable? TANTAROS: But, Sandra, from a messaging perspective, again we see Trump, though he says something that is inflammatory perhaps, right? Discriminating based on religion, right? SANDRA SMITH (HOST): It helps him in the polls. TANTAROS: It helps him in the polls because it’s a solution to a problem that no one will tackle. I don’t know if Ms. Tantaros is that stupid or that dishonest. Sen. Rubio, Mrs. Fiorina and Gov. Christie have stepped forward with plans to fix the problem. Their plans include no-fly zones so displaced Syrians don’t leave the Middle East. Trump’s blather is based on isolationism that doesn’t attack the root cause of the problem. If Ms. Tantaros can’t figure that out, she shouldn’t be on national TV. Other repeat offenders are Charlie Gasparino and Eric Bolling. They sing Trump’s praises constantly, too. Yesterday on The Five, Bolling praised Trump before mentioning that there were hundreds of people at his campaign rally. Greg Gutfeld interrupted, saying that you don’t have to mention numbers if you’re right, the point being that Bolling tried using numbers of supporters at a campaign event to prove Trump was right. In 2008, tens of thousands of people showed up for President Obama’s campaign events. We’ve suffered through 7 years of economic malaise and several years of apprehension about stopping terrorist attacks. Simply put, Bolling’s argument is flimsy at best. This trio’s critical thinking abilities don’t exist when it comes to Mr. Trump. Rather than turning this post into a rant, though, let’s provide solutions to this trio of wayward souls. Mentioning something in that day’s news isn’t a solution. Presenting a half-baked idea that’s been modified several times in the following 24 hours isn’t a proposal, either. Here’s a hint to this clueless trio: if a candidate has to constantly modify what he said, it’s safe to say that he didn’t think things through. Here’s another hint: I’m not looking for a candidate that mentions a timely topic but doesn’t provide a thoughtful solution. Any idiot can mention things. The United States is in terrible shape because we’ve got a president who hasn’t provided a solution to the challenges facing this nation. We don’t need another narcissist who doesn’t think in terms of thoughtful, detailed solutions. Finally, Trump’s supporters say that he’d “get things done.” I’d challenge that because it’s impossible to solve problems when the candidate can’t put a coherent sentence together, much less provide a solution. This reeks of sour grapes and spin. First, it’s foolish to think that Carly Fiorina didn’t talk about the issues. When asked about military preparedness, Mrs. Fiorina gave one of the most comprehensive answers in debate history, speaking about how many divisions the Army needed and how many ships the Navy needed. Put differently, Mrs. Fiorina answered the questions on point. Not only were Mrs. Fiorina’s answers on point. They displayed a grasp of the minutiae and the big picture. Other than that, Mrs. Fiorina’s answers were what you’d expect of a typical politician. From a different perspective, Gov. Christie isn’t a stranger to this process. While it’s good form to let the person answer the question, it’s often the person who jumps into the conversation that benefits the most. Mr. Christie hasn’t shown a reluctance to interrupt people at townhall meetings. Why wouldn’t he take this opportunity? At first, pundits said that Jeb’s team was seasoned. The reality is that Jeb’s team is all but fossilized. Vin Weber is to GOP politics what Bob Shrum is to Democratic politics. He’s got a great reputation and a lengthy losing streak. Jeb’s problem is that he hired guys with great reputations rather than picking the best and the brightest. Jeb’s biggest problem is Jeb. He’s robotic. He’s interested in antagonizing conservatives. There isn’t a mindset of ‘let’s win this together’. It’s mostly about Jeb. If Jeb isn’t able to carpet-bomb the rest of the GOP field into submission, he won’t win the nomination. He simply isn’t a top tier candidate otherwise. Otherwise, he’s just another legacy candidate living off past headlines. In an effort to stem the rise of burdensome regulations, I will support efforts to narrow the scope of the powers delegated to administrative agencies. Additionally, I will support tax reform policies aimed at simplifying the tax code. One of the hallmarks of our democratic system of governance is the respect for individual liberties and the understanding that these enshrined freedoms serve as proper limits on governmental power. Accordingly, I will oppose efforts to abridge the rights enumerated in our Constitution. Drawing upon my experience as a lawyer advising faith-based institutions, I will champion the First Amendment rights to the free exercise of religion and the freedom of association. I also will support the law-abiding citizen’s Second Amendment right to bear arms and will oppose efforts to encroach upon that right. As a mother with three children enrolled in public schools, education is extremely important to me. We need a strong educational system that will allow America to continue in its role as the world’s premier leader in scientific research and technological development. American families want better quality education, lower education costs, and more local control over decisions related to education. In recent years the U.S. Department of Education has expanded the federal role in education to unprecedented levels to the detriment of our children and college students. Utah – not the federal government – knows what is best for Utah’s student. I trust Utah teachers and Utah parents over Washington bureaucrats. Another potential rising conservative star is Katrina Pierson. 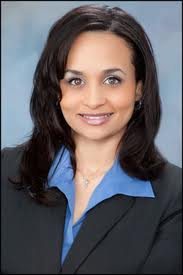 Katrina Pierson is a candidate for the United States Congress in the 32nd District in Texas. She is best known across Texas and the nation as a passionate advocate for freedom. For five years, she has served as a Steering Committee member for the Dallas Tea Party. She is also the Founder of the Garland Tea Party and a member of the Texas Tea Party Caucus Advisory Committee. Her primary goal as an activist has been to provide citizens with the knowledge and skills they need to protect and advance liberty. There is perhaps no single government program that poses a greater threat to our life, liberty and prosperity than the “Affordable Care Act,” generally referred to as “ObamaCare.” The more the American people learn about ObamaCare, the less they like it—and with good reason. According to the Director of the Congressional Budget Office, ObamaCare is expected to cost our economy upwards of 800,000 jobs. A recent survey of business executives revealed that 71 percent said that ObamaCare is making it harder to hire workers. Every day brings new stories about companies laying off workers or cutting back hours. ObamaCare is the very last thing our struggling economy needs. If you’re noticing a theme here, it’s that these ladies are a) unapologetic conservatives, b) TEA Party activists and c) minorities. The last I looked at Republicans in Washington, DC, they needed more people who fit these characteristics. Hopefully, that’ll change next November. Frankly, I wouldn’t be surprised if all three of these ladies are sworn in in January, 2015. In recent weeks, special prosecutor Francis Schmitz has hit dozens of conservative groups with subpoenas demanding documents related to the 2011 and 2012 campaigns to recall Governor Walker and state legislative leaders. Copies of two subpoenas we’ve seen demand “all memoranda, email…correspondence, and communications” both internally and between the subpoena target and some 29 conservative groups, including Wisconsin and national nonprofits, political vendors and party committees. The groups include the League of American Voters, Wisconsin Family Action, Wisconsin Manufacturers & Commerce, Americans for Prosperity—Wisconsin, American Crossroads, the Republican Governors Association, Friends of Scott Walker and the Republican Party of Wisconsin. One subpoena also demands “all records of income received, including fundraising information and the identity of persons contributing to the corporation.” In other words, tell us who your donors are. The subpoena demand for the names of donors to nonprofit groups that aren’t legally required to disclose them is especially troubling. Readers may recall that the Cincinnati office of the IRS sent the tax-exempt applications of several conservative groups to the ProPublica news website in 2012. The censorship thugs weren’t gentle. They didn’t request anything. They demanded things that they didn’t have a legal basis to ask for. Asking for confidential tax filings is illegal because IRS filings are confidential under federal law. The subpoenas don’t spell out a specific allegation, but the demands suggest the government may be pursuing a theory of illegal campaign coordination by independent groups during the recall elections. If prosecutors are pursuing a theory that independent conservative groups coordinated with candidate campaigns during the recall, their goal may be to transform the independent expenditures into candidate committees after the fact, requiring revision of campaign-finance disclosures and possible criminal charges. That’s admitting that they’re doing this to intimidate people who want to participate in the political process. That isn’t just unacceptable. It’s unconstitutional because it violates the First and Fourth Amendments. That’s before talking about the US statutes these warrants violate. It’s notable that the new batch of subpoenas began flying just days before Democrat Mary Burke announced her candidacy for Governor. District Attorneys are partisan elected officials in Wisconsin, and Mr. Landgraf works for Mr. Chisholm. Neither of them returned our call for comment. This isn’t litigation. It’s attrition. It’s painfully obvious that Mr. Landgraf and Mr. Chisholm are unapologetic Democratic political hatchetmen. It’s apparent, too, that they’ve used their office to a) threaten citizens who want to participate in the political process, b) intimidate legitimate political organizations and c) chill political free speech to help Democratic candidates. They should be prosecuted for using their official positions as a campaign outlet for Democratic gubernatorial candidates, which is a clear violation of using elected offices for campaign purposes. My hope is that the Wisconsin AG opens an investigation into these Democratic anti-free speech thugs’ censorship campaign. They’re disgusting, not to mention that they’re criminals who should be removed from office. It’s one thing to negotiate with Democrats in a divided government. It’s another to outright cave to President Obama’s demands. Some important points must be made at this point. First, whether Republicans enthusiastically embrace the bill or whether they vehemently oppose the bill, Democrats will blame Republicans for the shutdown. They’ve already called Republicans anarchists (Sen. Reid), likened them to spousal abusers (Sen. Boxer) and called them legislative arsonists (Rep. Pelosi). Why wouldn’t Republicans expect them to drop their gloves during next year’s campaign? Republicans have some leverage, at least if Senate Republicans don’t squander this opportunity. If Republicans insist that the individual mandate be postponed a year and that Congress and their staff don’t get subsidies that other Americans aren’t eligible for in exchange for raising the debt ceiling, they’ll win that fight. That’s because President Obama can’t afford a default on his watch, especially when there’s a perfectly reasonable offer on the table. It isn’t difficult selling people on the notion that politicians shouldn’t get subsidies that aren’t available to the average Joe or Jane. Similarly, it isn’t difficult convincing people that the health insurance exchanges aren’t operational. Connecting that with delaying the individual mandate isn’t that difficult either. That’s how Republicans win this fight and resurrect their standing with the American people. 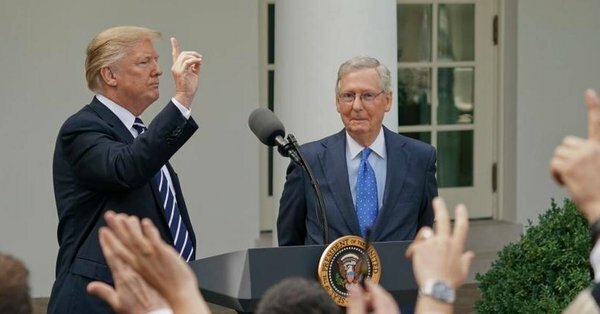 It’s a win-win situation for the GOP — if they don’t let Senate squishies blow it for them. When asked in the CNN poll whom they are angry at, 63% said Republicans, 58% said Democrats and 53% said Obama. That is a 10-point margin for the president and only a 5-point margin for Democrats, compared with a 23-point margin in November 1995. Independents said they blamed all three equally (60% GOP, 59% Democrats, 58% Obama). This is so clearly within the margin of error that it is for all practical purposes a tie. After weeks of the media focusing blame on House Speaker John Boehner, Sen. Ted Cruz and the House Republicans, it is clear the American people are not buying it. A CNN poll at the time showed Americans blamed Republicans over President Bill Clinton for the first shutdown by almost 2-to-1, 49% to 26%. Republicans fared only a little better in the second shutdown of the mid-’90s. A CNN poll after it began showed the American people preferred Clinton’s approach to that of the Republicans by 52% to 38%. Sixty-two percent said they had negative feelings about the Republican leaders during that conflict, compared with only 49% about Clinton. It’s pretty apparent that the American people are perfectly capable of understanding the different dynamics at play in this shutdown vs. the 1995-96 shutdown. In 1995, Gingrich’s troops didn’t hide the fact that they a) took seriously the fact that they controlled the purse strings and b) that they wanted to change the direction of the country. They didn’t hide the fact that they were will willing to shut government down if that’s what it took to win the longterm fight. President Clinton understood that. He didn’t hesitate in negotiating with Republicans. By doing that, he looked reasonable. Fast forward to today. This time, it’s Boehner’s Republicans who look reasonable compared with President Obama’s mean-spirited character. There have been too many days of the president saying, “I will not negotiate.” The country believes him. They can see he’s a big part of the reason the government is shut down. That’s why it’s impossible for me to believe the Gallup and Rasmussen polling that shows President Obama with a job approval rating near 50%. There’s no way to square up the CNN and AP polling with Rasmussen’s and Gallup’s polling. If House Republicans continue to pass targeted, clean continuing resolutions to fund parts of the government and Senate Republicans demand day after day for the right to vote on these popular measures, the margin of blame may begin shifting from virtual parity to a solidly Democratic problem. 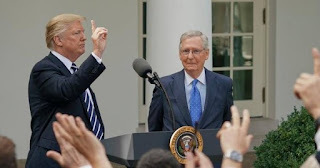 If the Republicans repeat every day their willingness to negotiate and Obama and Senate Majority Leader Harry Reid repeat every day their refusal to negotiate, this may become catastrophic for the Democrats. I don’t expect President Obama to take that hardline approach much longer. He’s got to be seeing polling that shows his popularity tanking. That’s why it’s impossible to believe President Obama will stick to his guns. That said, House Republicans have done their Senate colleagues a ton of good during this fight. They’ve forced Mark Begich, Kay Hagan, Mary Landrieu and Mark Pryor to take votes they’ll regret next November. Voting against funding of the National Institutes of Health, the Centers for Disease Control and voting to keep the national parks closed just isn’t popular. It’s too early to predict that the entire group of Democratic senators will lose in November, 2014. Still, they might want to start drafting an outline for their concession speeches. One thing that’s been bothering me in the debt ceiling discussion is the total absence of consideration of what’s the best path forward for the nation. Altogether too often, the discussion has focused on President Obama’s re-election, not the fact that he didn’t win a mandate from the American people. They definitely blamed President Bush for the economy without giving President Obama high marks on the economy. The reality is that the nation re-elected Republicans to run the House of Representatives despite President Obama’s victory. The point is that neither Democrats or Republicans have a mandate. That means doing what’s right on the federal budget and what’s right for creating jobs. Despite his victory, President Obama hasn’t proposed policies that create enough jobs. Month after month, job creation lags farther behind population growth. Month after month, family incomes drop. Despite the Democrats’ insistence that the economy has turned the corner, the reality is that the Democrats’ policies haven’t created the robust job growth that’s needed. There isn’t an economist out there that’ll argue that President Obama’s policies will start creating jobs in the numbers we need to lift ourselves from this recession. Speaker Boehner shouldn’t buy into the media’s myths about the Democrats winning the fiscal cliff debate. If we go over the cliff, historians won’t call this Speaker Boehner’s recession. That’s because presidents, not speakers, get the fault for the recessions just like they get the credit for when the economy soars. President Obama’s legacy won’t be filled with stories of how the stimulus revived the US economy. The ACA won’t be recorded as a success, either. It’s a failure. President Obama’s strict adherence to his failed ideology will be his legacy. There’s never been a time when this many taxes have been raised and this much money spent this recklessly and the economy recovered. That’s before talking about President Obama’s exponential growth in regulations, which are exploding while ruining the US economy. It’s time for Republicans to start promoting their plan as the only plan from either party that addresses the problems confronting the nation. That isn’t because it’s the greatest plan ever devised. It’s partly because Democrats haven’t offered a serious economic plan.